What’s in a name? Not much. And everything. After ten years essentia is officially now Shiny. Creating a new brand is never easy; add the complication of having the people doing the work being the same ones who own the business and make the decisions on the work and let’s just say it makes for many interesting, late night conversations. Earlier in my career I worked for i-FRONTIER which became Avenue A | Razorfish, which became Razorfish, which became Razorfish Health, which became Razorfish Healthware (and has recently re, re branded as Razorfish Health.) My stack of business cards with different names was quite high to say the least. With each change we worried about what our clients would think and the impact it would have on our relationship and the net net was…no one cared. Our name was unimportant and in fact, we were called whatever name we were when the client first started working with us regardless of what sign was on our door. In short the name was immaterial – the work was what mattered. So why change names? Our people are who ultimately define who we are, and whether we are good and whether we are someone with whom a good client wants to work. And to those people, names matter a lot because it’s part of what defines us in our every day life. The right name can help people understand the direction of the company, its goals and what makes it different than every other agency in the world. That’s why we’ve changed our name. 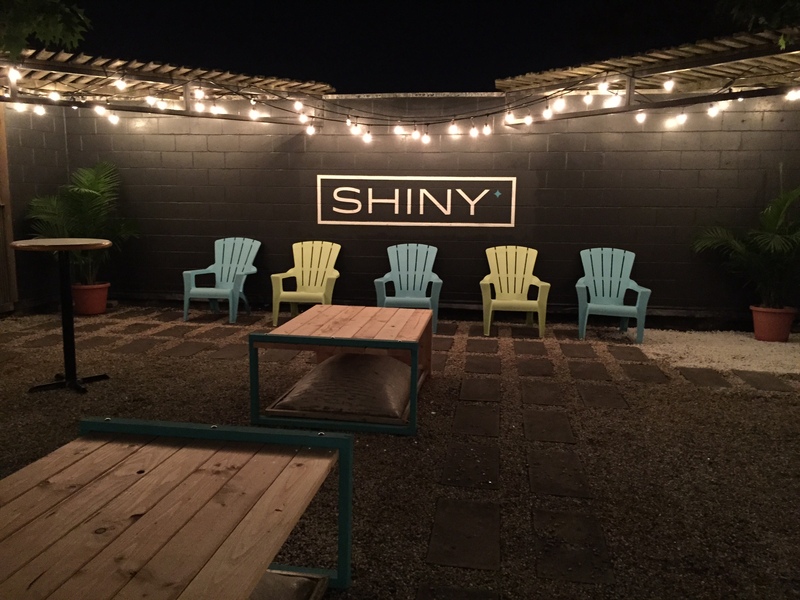 Shiny is about our being a boutique agency with big agency thinking, with the sole mission of helping brands create engagement in this age of distraction. We need to do a lot of things to make that a reality and at the core is the need to come up with highly engaging, new and bright solutions for our clients’ biggest marketing challenges. And that’s where Shiny came from, both as a name and as a reminder of what we need to do in order to break through the clutter and create work that shines. So while some of you may call us essentia long into the future, we at the agency know that we are fully, truly Shiny.